Drifting on ice is usually no problem with a regular mountain bike. However, on certain types of ice and especially on snow, the rear tire has too much grip even when using slicks. Standing up and leaning forwards solves the problem, but doing donuts and especially power slides is not as fun as when sitting down. This called for some product development. 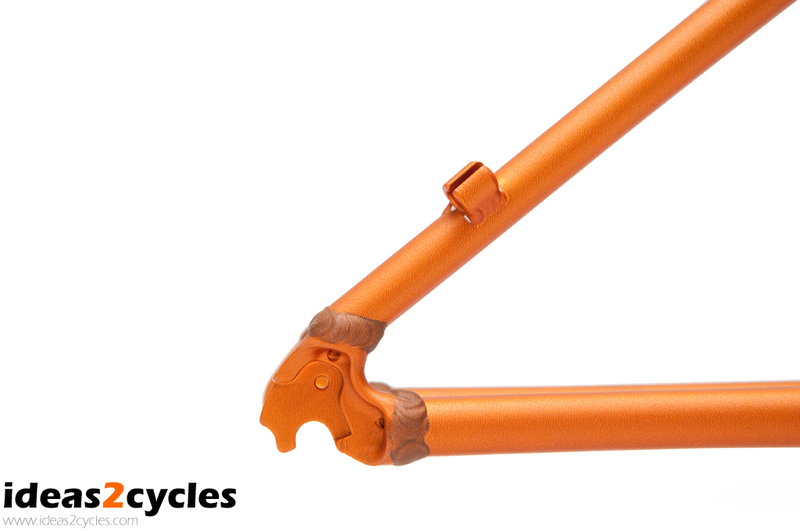 We designed a geometry that distributes the weight of the rider more on the front wheel and less on the rear wheel. There are several ways of doing this. 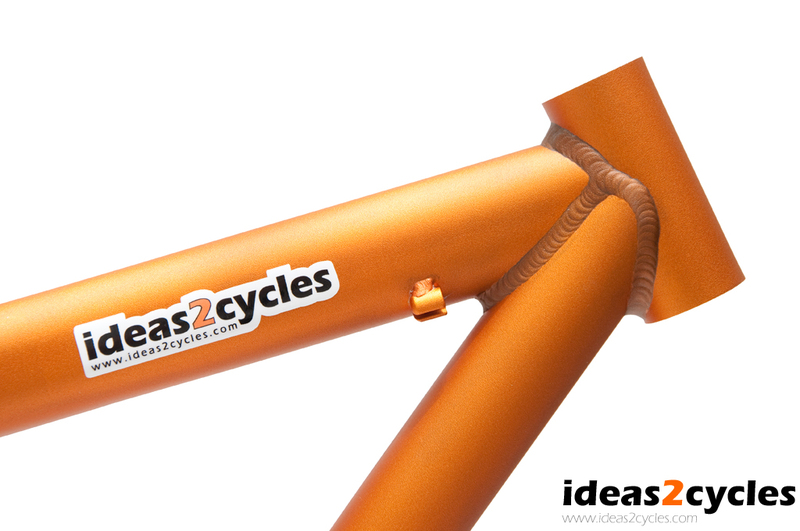 We bolted extra long horizontal fork ends on a regular mountain bike and tried different setups. The most significant effect on handling was experienced when increasing the effective chain stay length. Moving the seat forward had a small effect. 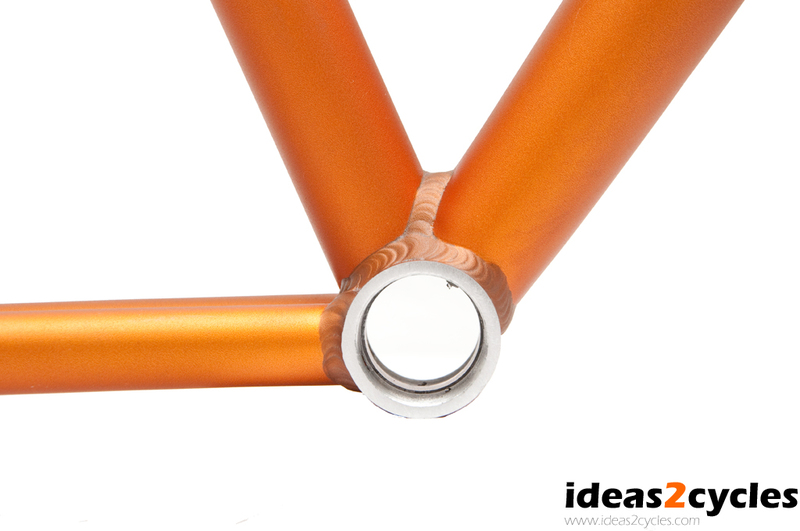 Lowering the riding position by flipping the stem and using a flat bar had no noticeable effect on rear wheel grip. 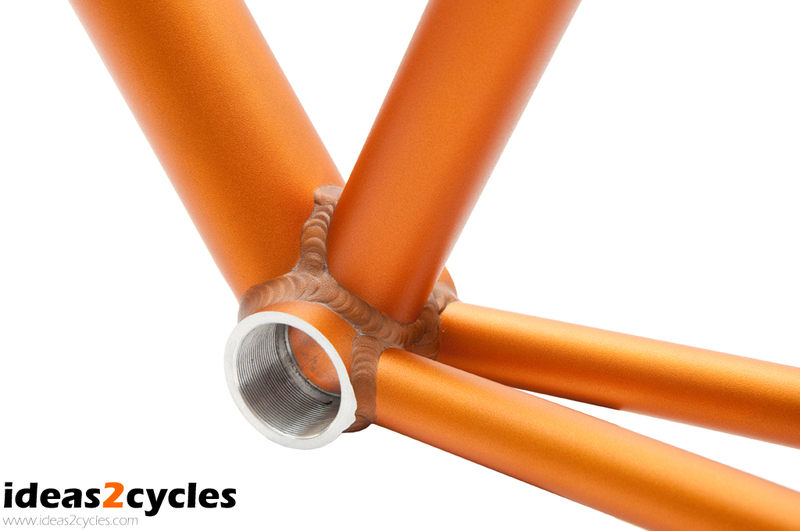 The drifter geometry was created based on the findings from our test frame. 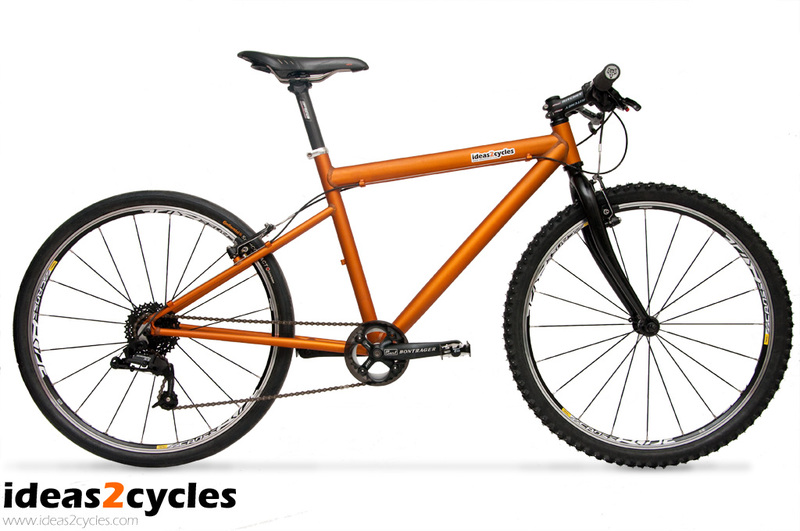 The result is a 520 mm chain stay, 75 degree seat tube angle, short head tube and a minimal BB-to-front-axle measure while still avoiding toe overlap when running spiked tires. 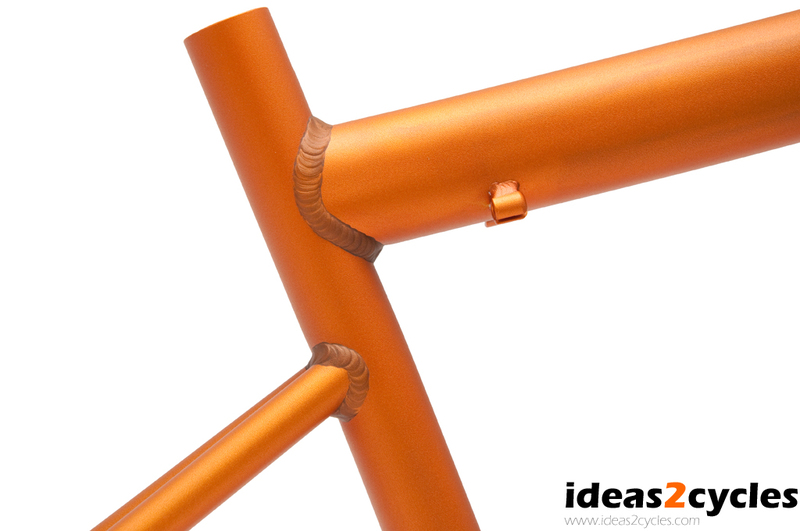 In addition, a low BB height, sloping top tube and cable stops placed underneath the top tube reduce the chance of getting bruises when losing control of the bike. The long wheelbase results in a calm behaviour when power sliding. This is especially useful if the friction properties of the ice/snow varies a lot. Furthermore, it makes spinning less likely when counter steering (opposite lock) heavily. 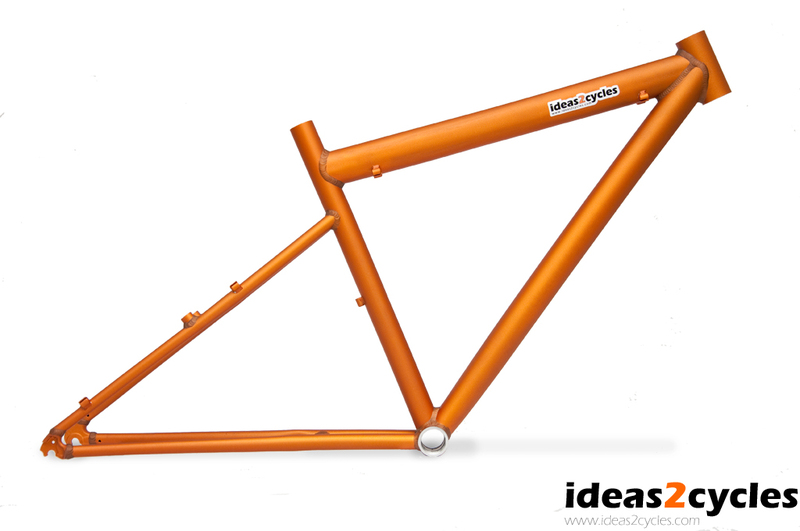 The frame weighs 1450 g. It is TIG-welded (GTAW) from butted AW 6061 alloy in the U.S.A. Solution annealing, quenching and aging treatments have been done post-welding. The surface is sand blasted and anodized. All machining operations (reaming and cutting threads) are done last.